Museo e Gallerie Nazionali di Capodimonte, Naples. Princess Maria Teresa, later Empress of Austria. The Queen of Naples commissioned this portrait of her eldest daughter, Maria Theresa of Bourbon-Two Sicilies (1772-1807). She married her first cousin, Franz II , Emperor of Germany (1792-1806) and Austria (1806-35). 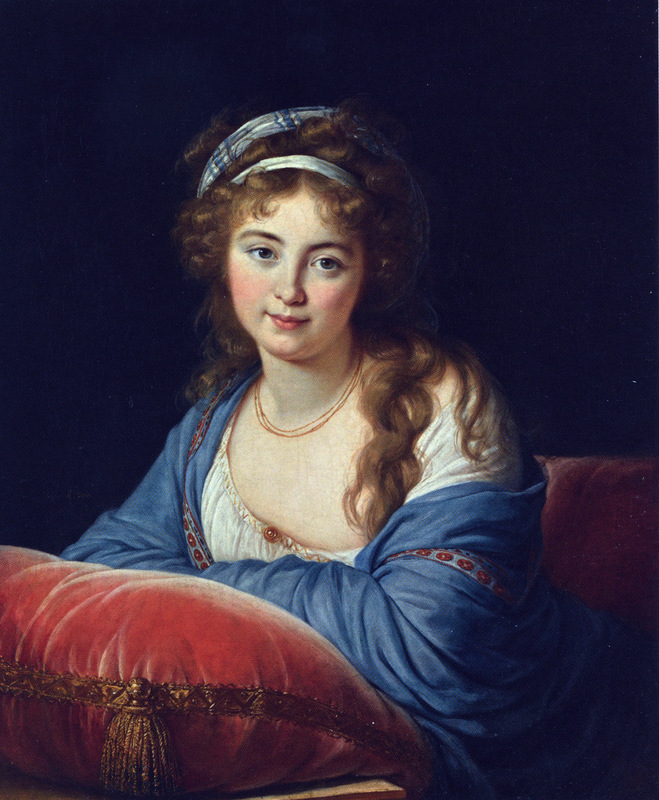 The portrait was exhibited at the 2015 Vigée Le Brun Paris Exhibition. oil on panel, 13-3/4" x 11"
The original, 21" x 15 1/8," was destroyed by fire July, 1940 in Providence, Rhode Island. Queen Marie Caroline (1752-1814) was the daughter of Franz of Lothringen and MarieTheresa, Emperess of Austria and the sister of Marie-Antoinette. She married Ferdinand, king of Naples and Sicily in 1768. 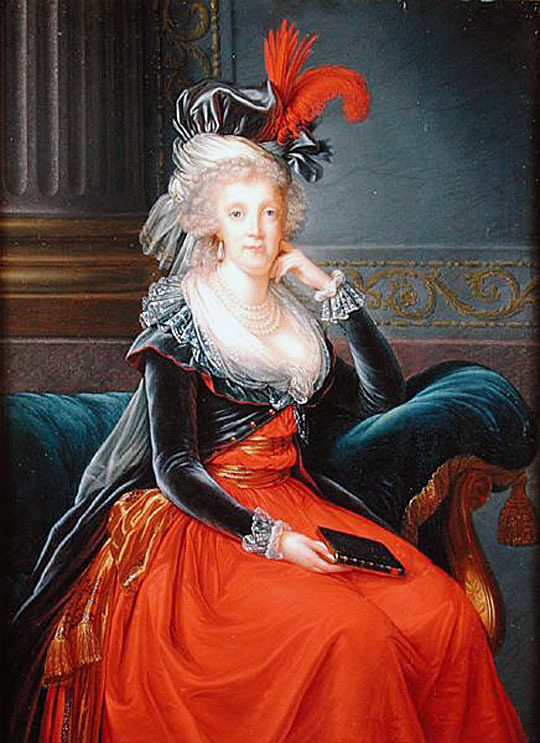 Countess Ekaterina Vasilievna Skavronskaia, née Engelhardt, a niece of Prince Potemkin, married Count Pavel Martynovich Skavronsky (1757-1793). 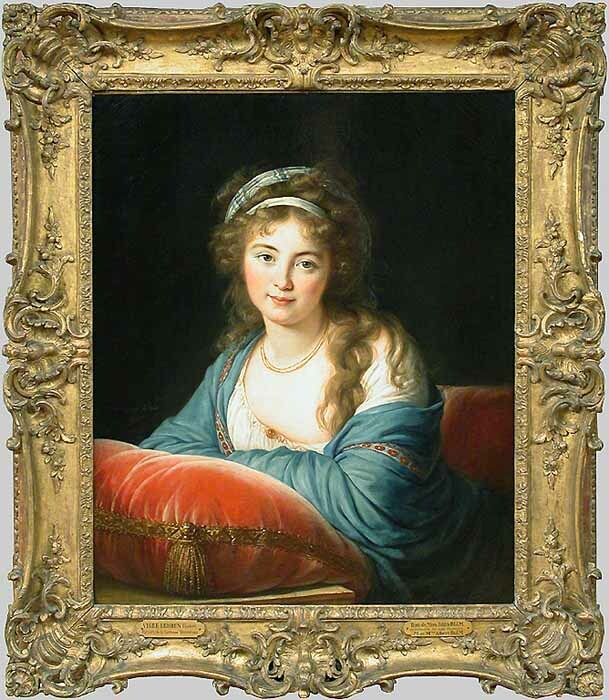 Vigée Le Brun lists painting a 3/4 length portrait and two busts while she was in Naples (1790-91). She also lists two half-lengths that were painted while in St. Petersburg (ca. 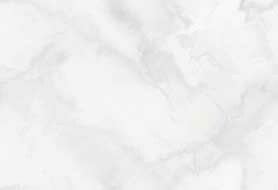 1796). View the framed portrait. Reference Kimbell Exhibition Catalog Number 43 for more details. This portrait was displayed in the 2015 Paris Exhibition.